JNN 07 Jan 2015 LAHORE: A PML-N Punjab Assembly member has revealed that a multinational food chain, McDonalds, imported 71 tonnes of substandard meat into Pakistan and some multinational companies earned $230 million in the country and sent it abroad. Speaking in the Punjab Assembly on Friday, he protested that the government could not force close even a single outlet of any multinational food chain even for serious violation of rules, adding that those companies were not sacred cows which could not be prosecuted in Pakistan. He said billions of dollars were being made by these multinational companies here but Pakistanis did not even know what they were being served at these fast food centres. He said these companies were importing oil made from the fat of pig on the pretext of making soap from it and using it for cooking their products. In his reply, Punjab Food Minister Bilal Yasin admitted failure of the Punjab food authority and his department to tackle the serious crime of food adulteration and the use of expired products by restaurants across the province. Faced with criticism over the use of expired meat imported by the chain of restaurants, Yasin confessed to the rise of dangerous adulteration of food and beverages. On the instructions of the speaker, the minister expressed his disappointment with malpractices of restaurant and factory owners in Punjab. He pointed to a restaurant located on MM Alam Road, which he claimed to have used bones for the owner’s dogs stored in the fridge along with other ingredients used by the restaurant cooks. McDonald’s has stopped the sales of chicken nuggets across Japan, after a piece of vinyl was found in one nugget at a chain in northern prefecture of Aomori. The fast-food giant only stopped selling pieces that came from a Thai production facility: vinyl was found in one of the nuggets that had been made there. The Japanese branch of the food chain has been producing Chicken McNuggets at three facilities in Thailand, following the scandal with the company Shanghai Husi Food Co. which was accused of using expired meat in its food – and sending it to McDonald’s, as well as other major food chains. The nugget in question, found at an outlet in the city of Misawa, has been sent to the McDonald’s headquarters in Tokyo to be examined. “We are starting to investigate how this could have happened,” a company spokeswoman has said, AFP reported. The chain stopped sales of nuggets that were produced at the Thai plant in question on the same day that the nugget was made, the spokesman said. Last month, the food chain temporarily halted sales of medium and large French fries over the labor dispute at US West Coast ports. On January 5, though, the sales were resumed. Chinese branches of fast food chains, including McDonald’s and KFC, have stopped using meat from a supplier in Shanghai following allegations it sold them out of date meat. According to Xinhua, the state-owned news agency, authorities in Shanghai have ordered the suspension of operations at Shanghai Husi Food Co.
Reports by local media said that Husi had re-processed expired meat products. 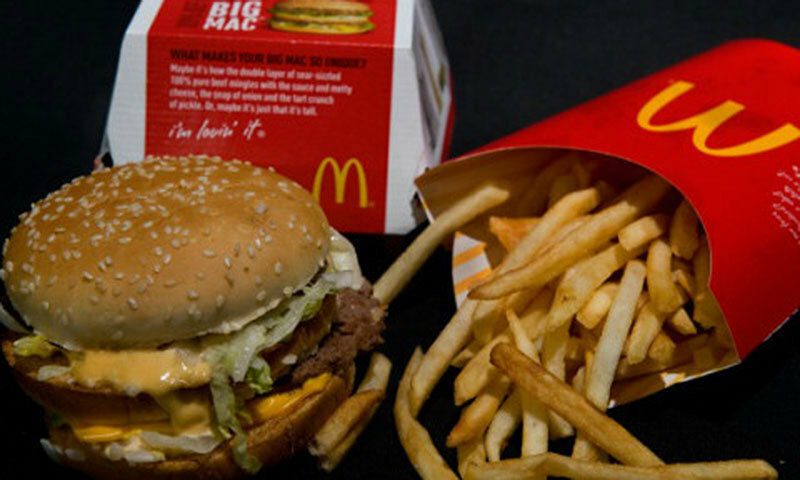 McDonald’s and KFC said they had stopped using meat from Husi. In a statement posted on its website, translated from Mandarin, the Shanghai Municipal Food and Drug Administration said it had “decided to investigate claims of the alleged use of expired raw food material production and the processing of it in food”. Shanghai Husi is the Chinese unit of US-based food supplier OSI Group. According to OSI’s website, the company’s unit in China “started to provide high-quality products to McDonald’s China” in 1992. The unit began supplying Yum China in 2008. Yum China manages the KFC and Pizza Hut chains and its sales have been hit by recent health scares. Yum’s sales dipped after a report in 2012 said two of its suppliers were providing chickens with excessive levels of antibiotics. Just as the firm was recovering from those allegations, fears of an outbreak of bird flu in the country dented its sales. Benjamin Cavender from consultancy China Market Research Group, based in Shanghai said: “Yum has just started rebuilding credibility and had some decent sales which just came out for the second quarter. According to figures from research firm Euromonitor, McDonald’s and Yum are the two leading fast food chains in China, based on sales. She added that the firm used a “few protein suppliers” in China. This entry was posted in Asia Pacific, Pakistan News and tagged China, food chain, Japan, McDonald, McDonald's, Meat, pakistan, Punjab Food Minister Bilal Yasin. Bookmark the permalink.